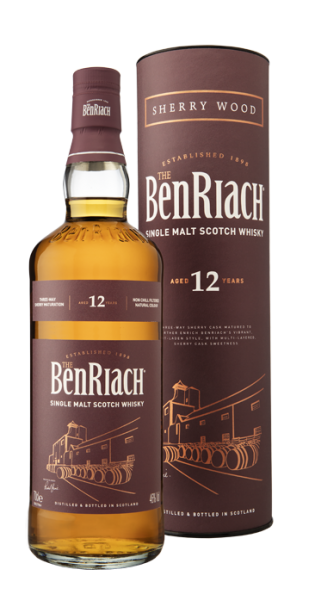 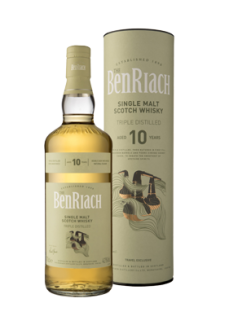 At BenRiach Distillery we have developed a reputation for innovative maturation, using a diverse mix of cask types. 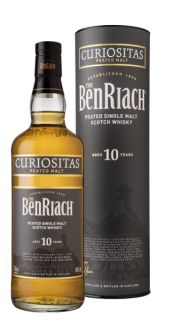 This luscious 12 year old Single Malt Scotch Whisky is unconventionally made using three facets of sherry cask maturation: full sherry cask maturation, combined with Pedro Ximénez and Oloroso sherry cask finishing, for unexpected layers of fruit sweetness and toasted oak spice. 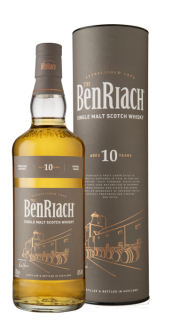 Each facet of sherry cask maturation is expertly combined by our Master Blender to work in harmony, creating a luscious Single Malt Scotch Whisky with a multi- layered cocktail of fruit notes, further enriching BenRiach’s signature sweet, fruit-laden style.